I’d guess there are not too many people who read my blog who are not aware that Jacob Wetterling, a kidnap victim, was found this past week. He has been abused, he had been killed. His remains had rested in a lonely rural pasture for the past 27 years. My heart goes out to Jacob’s family. His mom, Patty, has been called an angel, and I would agree with that assessment. She has been beautiful and gracious throughout the search for and loss of her son. She does not know it, but I stand with her, not only in sympathy and compassion, but in awe. It is not an easy thing to remain gracious when there are tigers tearing your heart to shreds, or when there is a wet cement pouring through your limbs, robbing you of all energy and motivation. I have failed time and time and time again. I have heard a lot of people complain that the man who killed Jacob will go free, with no punishment for his crime. I understand the anger, and yet surprisingly I can’t relate to it. What is important is that Jacob has come home. In thinking about this, I realize how little thought I have actually given to the man who kidnapped Michaela. I can’t recall spending even a small amount of time hoping to find him and bring him to justice. Every bent of my mind has been always and only been on finding Michaela. I would have approved the same deal that Jacob’s family approved, that Jacob’s killer will go to prison for 20 years on other charges, but will face none for Jacob in exchange for his confession and providing the location of his remains. We can’t ignore the kidnappers. We can’t say, let him go free, because we have a responsibility to the other children in the world, to keep them safe. But from the start I went on television and begged the kidnapper, “Please, just drop her off somewhere and go away. We don’t care about you. We only want our daughter back.” There was nothing else I wanted and no price I wouldn’t have paid to get it. Today I would say the same if she was alive. I might say the same if she is not alive, just for someone to tell me what happened to her, and where she is. A number of times I have been faced with the possible location of Michaela’s remains, and I have thought about her little bones being touched by the sunshine for the first time in years, and it has meant more to me that you might guess, not just in solving the mystery, having a “resolution.” In my heart, even if just bones, my little girl had been lying alone, and lonely, for all that time, and I wanted to just throw myself on those little bones and hold them and cry and cry and cry. But along with being able to bring Jacob home, his parents have had to endure hearing the hard reality of what Jacob endured. This is something I have never been sure I would be able to handle. And yet, how could I not? How could I be such a coward? If my daughter could endure it, I should be able to endure hearing it. How Patty Wetterling’s heart must break over and over as she can now hear her son’s words playing in her head, from “What did I do wrong?” to “Please take me home.” He was cold. He was abused, but what he complained of was the cold. He was shot when his kidnapper panicked because he heard police nearby. I don’t know how well I would be able to handle this kind of knowledge. I have no idea how it would impact me, because over the years I have become a mystery to myself. I have denied my feelings and buried them deeper and deeper until they turned into an avalanche. The thing is, there is no way out of them. There is no relief. Once you allow them in, allow them to take you, can you ever get yourself back again? It’s the black hole. You fall in and end up in another universe, or perhaps even in no universe, in nowhere, as nothing. Sometimes, you wonder if that would be so bad. Sometimes I understand the draw of addiction, of whatever substances might take you somewhere where you don’t have to worry, to feel. Although I have not taken this escape, it has had its appeal sometimes. Well, nonetheless. None the less. It is what it is. We are who we are, and where we are. We have no choice but to be here. There is no courage involved in it. None of us volunteered. I have been here for so long, so long, it seems like I will never be anywhere else. I’m sure it seemed that way to Patty Wetterling as well. We continue to carry the weight of our hope and our fear for our children, but at some point we really stop expecting anything to change. We come to lack the capacity to believe that after all this time our children will actually be found. But look, it can happen. Jacob was kidnapped eleven months after Michaela, so the Wetterlings have been doing this for pretty much as long as I have. But one day they woke up, and against all odds everything changed, and although it was not the answer they wished for, the answer to what happened to their son was given to them. 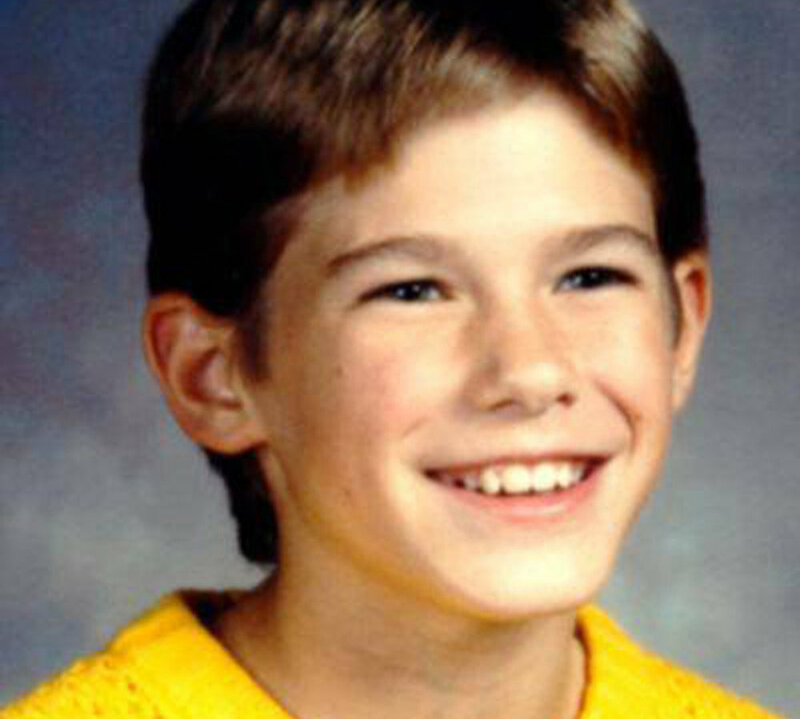 Jacob Wetterling, I hope that all the best versions of the afterlife are true and you have been embracing them. To Patty and Jacob’s family, God bless you. I love you. My heart is with you. All I can say is that the parents of all pedophiles and child murderers should be held accountable for their sons actions against children,,,they should be held accountable for raising and releasing into this world such evil disgusting monsters!! As parents we have a BIG responsibility as to what kind of humans we are giving to society,,, so I do think that parents of these kind of sick twisted men should be prosecuted too!! !And no,, you are not a coward for thinking that you could not endure what Jacobs mom now knows about her sons last moments,, when I read about what happened to the little boy I felt sick,, and I immediately thought about his family,, about the pain and heartbreak and just how extremely difficult it must be for them for knowing,,, there are no cowards in situations like these,, the only cowards are the monsters who commit the crime. I would have to disagree with you about the parents of pedophiles and murderers. While they should be held accountable for any crimes they may have committed against their own children, they are not responsible for their own children's crimes. What causes someone to fall into this darkness is far removed from parenting skills. Thanks. My son was born in 1989- the same year, I believe Michaela was taken from the parking lot of a store I and my son's dad had gone to quite alot when we lived on Jackson Street there in Hayward. I think that – no, I know that, shaped how I parented my child. I even remember telling him the story of Michaela's kidnapping to illustrate why it was important to lock up his bike and if he ever came out of “the little store” and his bike was moved, to go inside and tell the owner to call the police and call his mom.This is a beautifully written piece – not just because it's put together well or has no spelling errors, etc- but because I can tell it's so heartfelt and true.I was too wrapped up in life when Michaela disappeared – was taken – to get involved and reading this piece I'm not sure that some people don't already know she is dead but I just hope that Micheala's family finds a little peace knowing that Jacob and his family have found peace. Hi Sharon, I have been following Michaela's case for some time from I first came across her episode on unsolved mysteries. I always check the internet regularly to see if there has been any leads or developments and when I read that they found Jacob last Saturday my mind ran on Michaela and hoped that one day you would also get some answers as to what happened to her sooner rather than later. I am now a mother to a 19 month old and could not imagine not knowing where my child is- for 28 years at that. I admire you strength, because believe it or not it definitely takes a certain amount of strength to have been able to endure and deal with what you have been dealing with for 28 years. Please stay strong and hold on to the hope that one day you may just get answers. Jacob deserved to live his life. To grow up and date and be rowdy with his friends and to become a dad and enjoy his life. The fact that someone else decided to take that from him angers me to no end. I feel the same anger for Michaela and all the children who are the victims of someone else's terrible choices. I'm glad that Jacob's family has some relief in that they now know their son is not continuing to be victimized… I'm glad he is home with his family, but I wish with every fiber of my being that it had never happened. I hope for answers for you. And for all of the other parents of lost children. You all should have never had to endure any of this. I had been awake bare minutes this morning when I read this. I was out in the back yard, waiting for the dogs to go potty. (One of them, adopted from a shelter, won't go outside alone. I think she must have been left outside most of the time wherever she lived before so she's afraid she will be left there if someone doesn't go with her.) While I was waiting I opened the emails on my phone and read this, and however you meant it, I have to tell you it gave me quite a negative jolt.If you have read this blog for very long, you know that I am aware of this fact. I am honestly not one of those who says, my daughter is alive and is coming home, my daughter is alive and is coming home. But I do want to ask just what you are suggesting. That I abandon my blog and pick up a shovel? Because I know no way to do anything more than has already been done in this area for the last almost 28 years. More to the point, if Michaela is not alive, she doesn't need me. She has been in a better place for many years now and is safe. And me … I could probably live with not knowing for the rest of my life except for the existence of the chance, however small, that she might be alive, because if she is alive, she just might really need me to keep looking for her, reaching out to her. She could be living in terrible circumstances and might need to get free! She could feel abandoned and unloved and might need me to continue sending my love to her. But even so, I am pretty helpless in actually finding her alive as well. I can't go search the globe, and at this point that is how wide the field is. Keeping this blog and reaching out to her is about the ONLY thing I have left to me to do. And so I do it. I do it with the hope that if she is alive she will see it, and she will know that she is loved, and that will give her the courage and strength to get free and come home if she is able, or at least give her the warmth of knowing that she is very deeply loved. Ms. Murch, the commenter before me, whoever it was, is giving you sound advice. Please take it. The odds of your sweet daughter still being alive are ZERO. For your own mental health you need to stop doing this to yourself. Michaela is not coming home in the way you would like, maybe her remains are, but she is not. You should concentrate on finding her remains, there is a good chance she was abducted by the vile Speed Freak Killers and maybe the one on DR will talk someday. He is on DR so it is not like he has anything to lose. If they did not take her, then whoever did, did not let her live and is NOT keeping her away from you for the last almost 30 years. There is no way she is just out there alive and NOT getting in touch with you. With stranger abductions, the children are killed within 5 hours or less of their abductions according to the FBI. This is exactly what happened to poor Jacob Wetterling when he was taken; he was dead within several hours of his abduction. There is no telling where her remains are, they could be anywhere, the SF Bay, the ocean, the high Sierras, the desert, buried under a basement slab, someone's back yard–anywhere really. The only reason JW was found was because that vile man decided to talk and confess. I know this post sounds harsh, but for you to keep dreaming she is going to magically appear is on the verge of delusion; it is not healthy. Accept that she is with Jacob Wetterling, Adam Walsh, and Kevin Collins too. She is in a better place. The person who abducted your daughter may even be long dead by now, and if that is the case, he took the secrect of where her remains are to the grave. I am very sorry for your loss. But you need to let go and grieve her death, because she is not coming home, and she is not seeing anything that you write on this blog unless she is reading it from Heaven above. God bless you Ms. Murch, I do hope you can finally accept the reality of Michaela's abduction and tragic death someday. I am sure you will delete this post, which I understand it is a hard thing to face reality when it involves your loved ones. You WILL see her again someday on the other side when you yourself pass-on someday. Hhijklmjoe, with all due respect, which is very very little… why don't you stop being some cruel keyboard warrior and leave Michaela's mother, MY mother alone to live her life as she sees fit. Your comments are cruel, rude, assuming, and unnecessary. Everyone is VERY well aware that Michaela has probably passed on. EVERYONE. But that doesn't mean that it's the ONLY possibility or guaranteed truth. Just because YOU think we should move on and forget about her, doesn't make that right. Just because you think the SFK idea sounds convenient, doesn't make it any more likely. Children were not their MO. You are not REQUIRED to voice your opinion on everything on the internet. If you don't like this blog, don't f*cking read it. Simple. So why don't you do everyone involved a favor and go troll someone else. That's what you are, an ugly, hurtful, troll. I pray you find the answers you need. I was just hoping that you see the reality of this horrible situation. I have no business voicing my opinion on your grief and how you should handle it. If this helps you, then God speed. I hope you find some closure like the Wetterling's did. I apologize and am truly sorry if I upset you which was not my intent. I thought you were accusing me of killing your daughter which I would never do. I would jump off a 20 story building before I could ever cold bloodily kill an innocent child or adult. Hell, I could not hurt an animal, let alone another human being–unless of course it is in self-defense. Once again, I apologize. Thank you for the apology. Now for clarity's sake since I don't think you have read it, here is what I posted in these comments in response to the comment that started this conversation:I had been awake bare minutes this morning when I read this. I was out in the back yard, waiting for the dogs to go potty. (One of them, adopted from a shelter, won't go outside alone. I think she must have been left outside most of the time wherever she lived before so she's afraid she will be left there if someone doesn't go with her.) While I was waiting I opened the emails on my phone and read this, and however you meant it, I have to tell you it gave me quite a negative jolt.If you have read this blog for very long, you know that I am aware of this fact. I am honestly not one of those who says, my daughter is alive and is coming home, my daughter is alive and is coming home. But I do want to ask just what you are suggesting. That I abandon my blog and pick up a shovel? Because I know no way to do anything more than has already been done in this area for the last almost 28 years. More to the point, if Michaela is not alive, she doesn't need me. She has been in a better place for many years now and is safe. And me … I could probably live with not knowing for the rest of my life except for the existence of the chance, however small, that she might be alive, because if she is alive, she just might really need me to keep looking for her, reaching out to her. She could be living in terrible circumstances and might need to get free! She could feel abandoned and unloved and might need me to continue sending my love to her. But even so, I am pretty helpless in actually finding her alive as well. I can't go search the globe, and at this point that is how wide the field is. Keeping this blog and reaching out to her is about the ONLY thing I have left to me to do. And so I do it. I do it with the hope that if she is alive she will see it, and she will know that she is loved, and that will give her the courage and strength to get free and come home if she is able, or at least give her the warmth of knowing that she is very deeply loved. Sharon I have been following Michaelas story for many many years. I have spoken to you on the phone and have posted many thoughts here. Every day when I get to work I search the internet for Michaelas name and also visit this site. Hoping and praying that she has been found. I look at her dear sweet face and wonder over and over again where she is. I have never met you or Michaela and do not know why I feel the way I do. I have felt the same about Jacob Wetterling, Sheila and Katherine Lyon, Morgan Nick, Ilene Mishelhoff.I guess you could say I am consumed with finding these children. And all the others that are missing. I will never understand how a child can just disappear with no trace. How can someone A Human Being do that to a child and a Family. I have thought of every scenario about what happened to Michaela. None of it makes any sense. I just wish I was a detective and could look at the clues and try to find her. Maybe I feel this way because she was born the same year as my daughter. My little girl vanished in the mall at Xmas when she was 4. We finally found her a few feet away looking down at Santa Claus on the lower level. I can't even begin to say how FRANTIC I was. I can only try to comprehend how you have felt all these years. From all that I've read about the Wetterling case, Jacob's mother always held out hope for finding him alive. She knew that it was likely that he passed away shortly after the abduction, but her mantra was that she was going to maintain hope until there was proof of another outcome. After his remains were found, she said, “For us, Jacob was alive until we found him.”This is what mothers do. What would be really sad is to be alive and suffering and have no one caring or trying to find you because they all assumed that you were deceased. You are a great mother, Sharon. Sharon, I have been thinking a lot about Michaela lately. I think the detectives need to go back to the very beginning and look again at the evidence. This year the Lyon sisters and Jacob's kidnappers were found. Both are because they went back and reviewed the original documents and suspects. May I ask what became of the lead where Michaela was taken into Mexico by someone and the girlfriend and her children were witnesses? I read that a long time ago. Every little detail should be looked at again. Over and over until she is found. The lyon sisters were missing for 40 years and Jacob (well you know how long). It is not impossible for Michaela to be found after all this time. You are welcome. As mother's that's what we do. One other thing that bothers me is when people say that we should forget cold cases and move on to current ones. I actually saw a comment of that nature on a news article about the Wetterling case, before it was solved. That kind of thinking is what leaves kidnappers and child killers out there free to roam the streets and strike again. Every child's life is precious, regardless of the passing of time. Jacob's killer wasn't arrested until last year. After Jacob's murder he got to live 26 years of his life as a free man and would still be free to victimize more children, if the authorities bought into that kind of thinking.Because of the authorities working on solving Jacob's case, his killer is now off the streets and away from more potential victims, even if it's not on a murder charge. I don't want to live or raise my children in a world where older kidnapping cases are ignored. Every child's life matters.